Fourteen educators (a record number for the district) were honored recently by the Central Kitsap School District Board of Directors for attaining the coveted National Board Certification. Teachers who achieve this distinction must meet very high and rigorous standards through study, evaluation, self-assessment, and peer review. The year-long process requires the creation of a very comprehensive portfolio that documents the impact of teaching practices on student achievement, as well as a series of tests designed to measure content knowledge. Brenda Costello, Esquire Hills Elem. Amee Coulter, Esquire Hills Elem. Donna Giese, Silver Ridge Elem. Cindy Jaquay, Green Mountain Elem. Gina Kahler, Esquire Hills Elem. Barb Robillard, Silver Ridge Elem. Jennifer Threadgold, Jackson Park Elem. Deborah Vaughn, Silver Ridge Elem. The National Board for Professional Teaching Standards (NBPTS) grants National Board Certification, which was recognized by the National Research Council as having a positive impact on student achievement, teacher retention, and professional development. Since 1987, more than 91,000 teachers across the country have achieved National Board Certification. This year, 1,272 Washington teachers were certified, placing the state second nationally in new National Board Certified teachers. Washington’s 5,247 total National Board Certified teachers place the state fourth in the nation. Central Kitsap School District currently employs 43 National Board Certified teacher. Normally, teachers who have successfully achieved their National Board Certification are granted a small annual stipend as an added bonus for their hard work and commitment to educational excellence. Unfortunately, our elected State Representatives (against voter approval) decided to suspend this stipend, and will most likely eliminate it completely in the future. Solve Budget Woes? Install More Red Light Cameras! Earlier today, as I opened my mail, I was hit by an epiphany. Washington State legislators are currently facing some extremely significant challenges in getting Olympia out of massive debt. In their brilliance, they’ve determined that education, teaching professionals, and our kids are an unnecessary budgetary luxury. As such, they’ve recently decided to fly in the face of overwhelming public support, and suspend two voter-approved initiatives (I-728 and I-732). Obviously, our trusty elected representatives really need our help in identifying other, more viable revenue streams to put us back in the black!…. What a stroke of genius! Just imagine all the State programs we could fund with the simple click of a camera? We could take random pictures of people’s license plates all day long. At $124 per infraction, our lawmakers wouldn’t need to make these tough decisions. They wouldn’t have to suspend anything! 1. The return address for the Bremerton Police Department shouldn’t be a P. O. box in Phoenix, Arizona. Last time I checked, the Bremerton Police Department was located in Bremerton, Washington. 2. Also, it seems a bit shady for me to be mailing my hard-earned $124 to a P.O. box in Cleveland, Ohio. Shouldn’t our government revenue dollars stay local? 3. 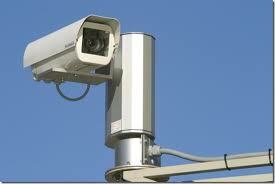 Make sure you only install the cameras in areas where people don’t normally live, work, or play. In a recent Kitsap Sun article, Rep. Kathy Haigh was reported to have introduced two bills into the State legislation that would further suspend two spending initiatives that had received overwhelming support by WA voters back in 2000. Initiative 728 allocated money to reduce class sizes, provide training for teachers, and offer helpful resources for some pre-kindergarten children. I-732 provided annual cost-of-living raises for teachers. Included in I-728 was funding for an annual stipend allocated to teachers who successfully passed the arduous National Board Certification process. And now, thanks to our elected representatives, our class sizes will increase, making it more difficult for our kids to receive the personal attention they deserve. Greater demands will be placed on our teachers, but without compensating them for more work. “Over the long term, the only way we’re going to raise wages, grow the economy, and improve American competitiveness, is by investing in our people — especially their educations. Yet we’re falling behind. In a recent survey of 34 advanced nations by the Organization for Economic Cooperation and Development, our kids came in 25th in math, 17th in science, and 14th in reading. The average 15-year-old American student can’t answer as many test questions correctly as the average 15-year-old student in Shanghai. Considering the increases in our population of young people and their educational needs, and the challenges posed by the new global economy, more resources are surely needed. State cuts in public education have been under the national radar, but viewed as a whole they seriously threaten the nation’s future. Already, 33 states have sliced education budgets for next year, on top of cuts last year. For example, Arizona has eliminated preschool for 4,328 children, and cut funding for books, computers and other classroom supplies. California has reduced K-12 aid to local school districts by billions of dollars and is cutting a variety of programs, including adult literacy instruction and help for high-needs students. Colorado and Georgia have reduced public-school spending nearly 5 percent from 2010, Illinois and Massachusetts by 3 percent. Virginia’s $700 million in cuts for the coming year includes funding for class-size reduction in kindergarten through third grade. Washington suspended a program to reduce class sizes and teacher training incentives. I urge our elected government representatives to reconsider the suspension of these two voter-approved initiatives, and make the necessary budget cuts in other areas that do not adversely affect our kid’s education. Please show your support and appreciation for Central Kitsap Schools and Students by accessing the CK Kids Matter Facebook Page link below, and click the ‘Like’ button. And don’t forget to vote ‘YES!’ on February 8th, 2011, to approve the CKSD Capital Projects Levy. The organization, CK Kids Matters, is comprised of local residents and business professionals who are committed to the cause of quality education for students of the Central Kitsap School District.